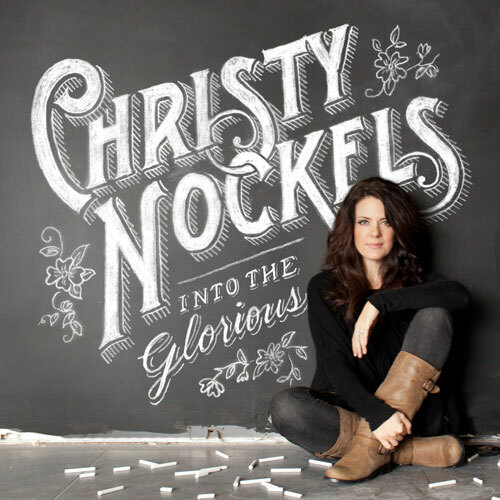 Worship leader Christy Nockels has released her new album 'Into The Glorious' this week. The twelve-song album, produced by Christy's husband Nathan Nockels (Laura Story, Passion, Matt Redman), includes current single 'Ever Lifting' and a new recording of 'Waiting Here For You', a song first heard on the 2011 Passion album 'Here For You'. "I have definitely had some pretty vulnerable moments during the process of this record", says Christy. "This journey started for me in 2010 when I thought I was ready to write for this recording. We even went into the studio and tried to get started but it felt like one door after another kept closing in my face as I would try to get traction with the songs. I felt like God very gently said to me, 'are you ready to really write this record?' I started to get the picture that to write the record He wanted me to write, I was going to have to lay down any agenda that I had, and honestly, I had to let Him do a deep work in my heart." Christy is a featured worship leader at the Passion Conferences and most recently led worship at the Passion 2012 conference for 42,000 students. Under the title Watermark, Christy and her husband Nathan recorded five albums achieving seven number 1 radio singles. They have been nominated for numerous Dove Awards, including Christy's nominations for Female Vocalist of the Year. 'Life Light Up' (2009) was Christy's first solo album, and she contributes several songs on the new Passion album 'White Flag', released in March.